On September 7, 1965 Saint James School opened its doors to 90 first, second and third graders. 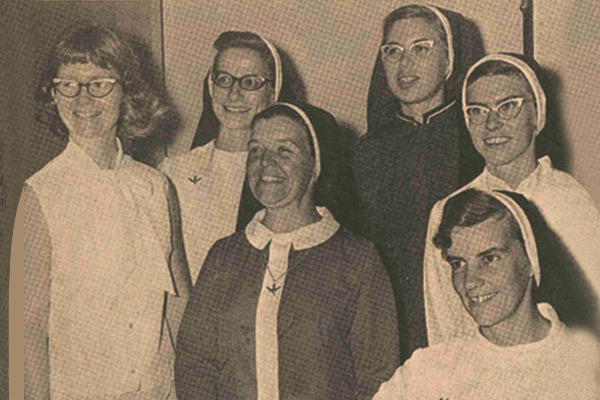 These students were greeted by three nuns of the Daughters of the Holy Spirit order, based in Putnam, Connecticut. Over each of the next three years, an additional grade was added until the elementary school was complete. During the 1970s the school grew to include a kindergarten and junior high. In 2017, a Transitional Kindergarten was added. Today, nearly 300 students from the communities of Davis, Dixon, Winters and Woodland benefit from the proud traditions that started over 50 years ago; academic excellence and Catholic values merging together in a small, caring community. 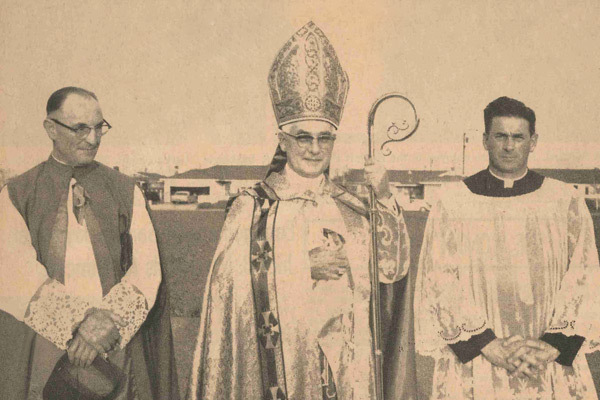 Monsignor Andrew Coffey was the pastor of Saint Anthony’s Parish in Winters from 1955 to 1963. When he was reassigned to Saint James Parish in Davis, he opened Saint James Catholic School for the children of Davis and Winters. To this day, nearly 20% of the student body hails from Winters.